MANILA, Philippines—The Philippines’ successful hosting of the World Economic Forum (WEF) on East Asia last week opened the world’s eyes to the country’s renaissance amid challenging global and regional developments and at the same time raised hopes that Filipino creativity and youth dynamism would be the salvation of a nation weary of boom-bust cycles. President Aquino took advantage of the event to highlight the country’s economic turnaround anchored on governance reforms as well as the nation’s resilience following the devastation caused by Typhoon Yolanda (international name: Haiyan). Aquino was also a diplomatic host and avoided talking about the country’s territorial dispute with China. Territorial disputes were brought to the fore when Vietnam’s Prime Minister Nguyen Tan Dung—one of the heads of state who attended the WEF summit—gave a fiery speech against China’s territorial aggression during the opening plenary. After the emotional speech, WEF founder and executive chair Klaus Schwab had to immediately clarify that the WEF was a neutral platform and appealed to the parties to discuss peaceful solutions. Instead of discussing China, Aquino dwelt more on how reforms were bearing fruit and benefiting ordinary Filipinos. He also spoke about the momentum being “irreversible,” to allay concerns that governance reforms would be put in jeopardy when his term ends in 2016. “The key takeaway for the Philippines is a very strong articulation of the case for the Philippines. I myself am a longtime observer of the Philippines and aware of sometimes the weariness and skepticism due to many rounds the country had gone through of what seemed like a revival but were frustrated by politics one thing or another,” said John Pang, a visiting scholar from New York University and the chair of WEF’s Global Advisory Council on Southeast Asia. “Despite the natural disasters, it has really got it right,” Pang said. “There’s a very strong sense that the Philippines is on track. It’s back and there’s a lot to look forward to. I think that it has managed to communicate to the world how the fundamentals work and how these fundamental advantages can be sustained,” he added. Pang, a Malaysian academic and management consultant, has spent a lot of time looking at Southeast Asian economies as founder and former head of CIMB Asean Research Institute Ltd., which was created by the CIMB group as an independent research institute to further the integration agenda of the Association of Southeast Asian Nations. “It’s great to be here in the Philippines at a time when the level of self-confidence and hope is so high. Understandably, this year’s East Asia Summit reflects the same exuberance and high spirits. But of course, there’s a lot more hard work to be done both on the public and private sectors,” added Malaysian Karim Raslan, chief executive officer of KRA Group, a Southeast Asian public affairs consulting firm specializing in stakeholder relations, political risk and business advisory. The Ayala group’s reception for WEF delegates at the Ayala Triangle featured the best of Filipino talent through traditional dance numbers, a fashion show and a mini-concert by Lani Misalucha who wowed the audience, especially the foreigners who watched her for the first time. It also featured Filipino creativity by featuring furniture pieces proudly made in the Philippines. Gary Valenciano and Jed Madela, on the other hand, top-billed the cultural show hosted by Aquino at the Philippine International Convention Center on Thursday night. So-Young Kang, founder and chief executive officer of Singapore-based transformation design firm Awaken Group and part of WEF’s Young Global Leader (YGL) community, said she was “highly impressed” by the quality of people from the local service industry as well as the mindset of the young Filipinos she interacted with at the forum. Indeed, what left a lasting impression on the foreign delegates who attended the three-day summit was the people: the high quality of Filipino talent and the growing mass of young people who are eager to make a difference and cement the country’s gains. After the main event in Metro Manila, the US-educated Kang was among those who flew to Mactan, Cebu, to attend the YGL-led side summit Open Collaboration with East Asia New Champions 2014 (OCEAN14) at Movenpick Hotel. “Overall, if I include WEF and also OCEAN14, I think my No. 1 takeaway is that Filipino people are so nice, so service-oriented,” Kang said. 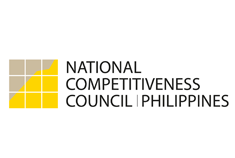 Guillermo Luz, private sector cochair of the National Competitiveness Council, said that from the start of the conference planning, the Philippine team felt it was important to highlight the creativity of Filipinos. “The Philippines of course, that’s the storyline—big turnaround since the new administration. There’s no question in anyone’s mind that governance was a big factor behind it and they can see the results in terms of the economy growing at 7 percent, the improvement in competitiveness ranking and investment grade,” Luz said. But on top of these, Luz said this summit also showed Filipino organizational skills in working with the WEF and likewise manifested creativity as a people. Because most of the events during the three-day East Asia Summit were within the Makati central business district, heavy traffic in the metropolis was not much of an issue, at least for the participants. To ensure seamless transfer to the cultural show held at PICC, there were lanes dedicated to the shuttles from Makati City. “They (delegates) were agog over the music, the passion, the entertainment part that showed off the Filipino creativity. Maybe what they don’t know is even the furniture placement around WEF are Filipino-made including (the creations of) Kenneth Cobonpue,” Luz said, noting the furniture pieces that were strategically placed in the lounge where bilateral meetings took place. He added that some foreign delegates and East Asia Summit veterans had even said that the meeting in the Philippines was “one of the best” WEF East Asia Summits they had ever attended. Over 600 top leaders in business, policymaking, media, academia and civil society from 30 different countries gathered in Metro Manila for three days of discussions on key global, regional and industry agendas most relevant to East Asia. Issues linked to the upcoming integration of 10 member-states of Asean into a unified Asean Economic Community (AEC) by 2015 cornered much of the discussions inside and outside the formal sessions alongside key challenges such as inclusive growth, infrastructure backlog, skills gap and food security. As the country seeks new legs to sustain its economic growth, proponents of the so-called creative economy championed by British author and professor John Howkins—who first published a book on how to turn ideas into money in 2001—hope to see this segment playing a bigger role in the Philippine economy. The creative economy comprises advertising, architecture, art, crafts, design, fashion, film, music, performing arts, publishing, R&D (research and development), software, toys and games, TV and radio and video games where Filipinos naturally excel in. Filipino youth dynamism also left a good impression among foreign delegates. With a population of some 100 million and average age of 23, the young were an integral part of the East Asia conversations and the young Filipino delegates—especially the social entrepreneurs and advocates of different causes—were great ambassadors for the Philippines. (Editor’s Note: The author is a member of WEF’s Young Global Leaders Class of 2014).